Fisher-Price Little Snoopy Just $7.02! Down From $15! You are here: Home / Great Deals / Fisher-Price Little Snoopy Just $7.02! Down From $15! Right now you can get this Fisher-Price Little Snoopy for just $7.02 (Reg. $15) at Walmart! 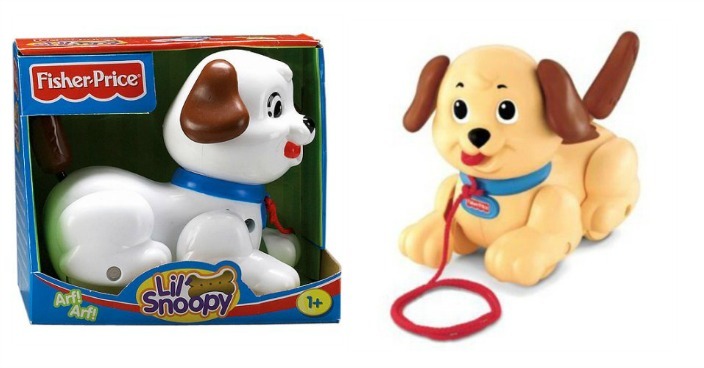 The Fisher-Price Little Snoopy can turn his head, wiggle his ears, shake his tail and bark. Pretending to take Snoopy on a walk will help develop your child’s fine motor skills as well as imaginative play. Children can enjoy pretending that the Fisher-Price Little Snoopy is their first puppy.